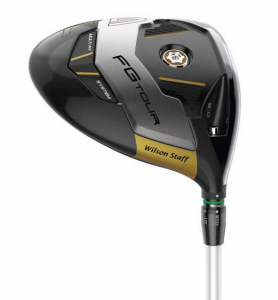 CHICAGO, October 6, 2015 – The new Wilson Staff FG Tour F5™ line of woods offer a design geared towards the better player, while providing game improvement technology to help compliment anyone’s game. 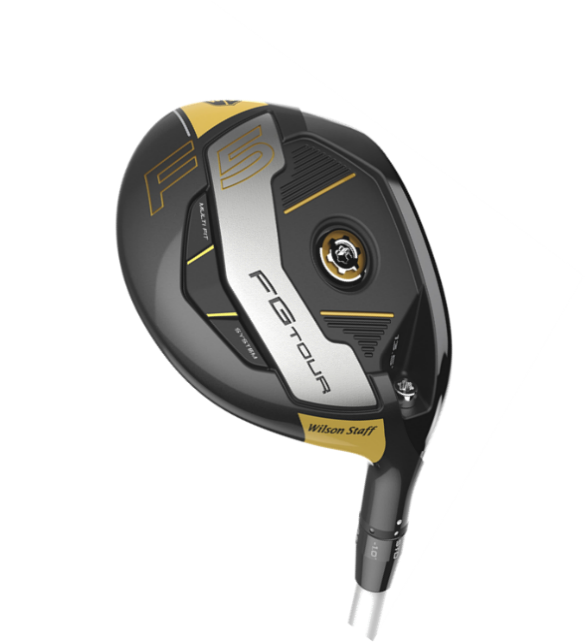 Each of the FG Tour F5 fairway woods and hybrids embodies Fast Fit™ technology. The fastest, easiest and one of the lightest adjustable hosel systems allowing for quick fitting changes. “Our product design starts and ends with the player in mind and even the best players want to manage and minimize their miss-hits as much as possible” comments Global Director of Innovation Michael Vrska. 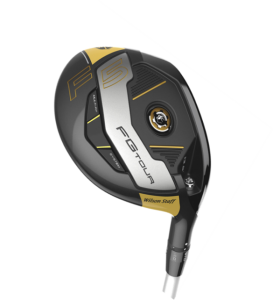 The FG Tour F5 driver is offered in two lofts, each featuring six loft settings and three adjustable sole weights to allow players to attain their ideal launch angle, ball speed and spin rate. Wilson Advisory Staff PGA Tour players heavily influenced and refined the deep face, 460cc head during its developmental stages. maximize response and ball speeds at every spot on the face. lower center of gravity and increase moment of inertia. 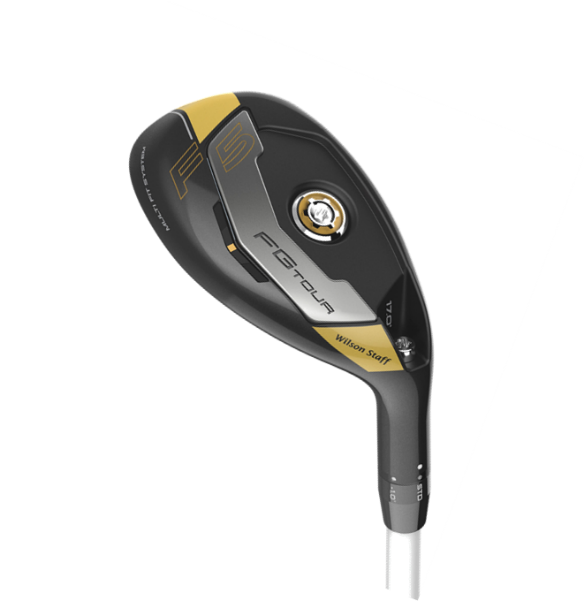 A Carpenter Custom 455 maraging steel face and Fast Fit technology lead to maximum distance and optimized ball flight in the FG Tour F5 fairway woods. Wilson Advisory Staff PGA Tour players influenced and refined the stainless steel face insert developmental stages. The premium Carpenter Custom 455 maraging stainless steel face creates a thin, hot, high CT face for increased ball speeds and longer distances. Green Means GO! Fast Fit technology allows players to make quick adjustments by eliminating the need to remove the club head from the shaft. Three loft models are available, each including a 6-way adjustable hosel for precise ball trajectory. 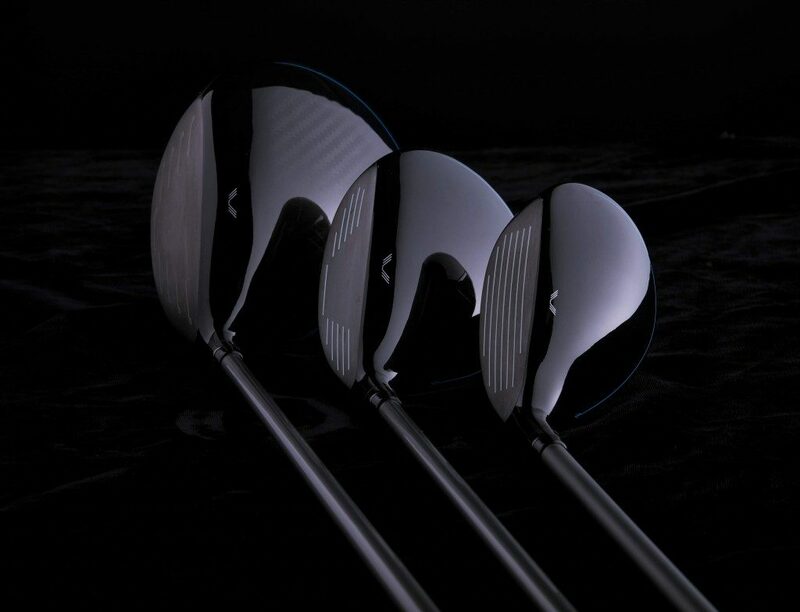 A Carpenter Custom 455 maraging steel face, combined with Fast Fit technology and an improved head design, leads to maximum distance and versatility in the FG Tour F5 hybrids.Wilson Advisory Staff PGA Tour players influenced and refined the stainless steel face insert during its developmental stages. The premium Carpenter Custom 455 maraging stainless steel face insert creates a thin, hot, high CT face for increased ball speeds and longer distances. Larger volume on stronger lofted heads provides forgiveness on longer shots. Green Means GO! Fast Fit™ technology allows players to make quick adjustments using the lightest adjustable hosel system for optimal launch and spin. 17o, 20.0o and 23.0o, models, each with 3 loft and 3 upright lie settings are available in right hand and 20.0o, and 23.0o models are available in left hand. For 100 years, Wilson Golf has designed, manufactured and distributed premium and recreational golf equipment throughout the world. Since 1914, Wilson Staff irons have won 61 major championships, more than any other iron manufacturer in history. That winning tradition continues today by delivering the highest quality equipment to all golfers to enhance performance on the course and overall enjoyment of the game. Chicago-based Wilson Sporting Goods Co., a subsidiary of Amer Sports, is the world’s leading manufacturer of sports equipment, apparel and accessories. Through its dedication to creating products that enable athletes at every level to perform at their best, Wilson has earned its place as a leader in sporting goods for over a century. CHICAGO, AUGUST 2, 2015 – Wilson Advisory Staff member Troy Merritt (@TROYMERRITT_PGA) captured his first PGA TOUR win at the Quicken Loans National today, an accomplishment that qualifies him to compete in the PGA Championship next week. 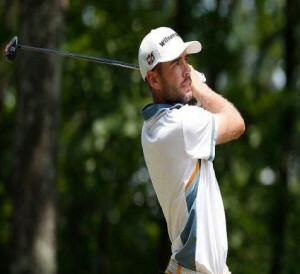 Merritt leaped up the leaderboard early in the third round with five consecutive birdies on the first five holes. 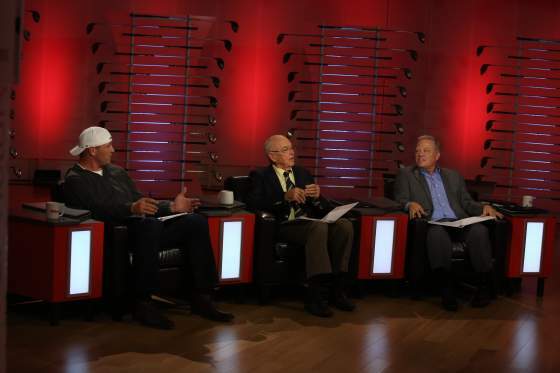 He proceeded to finish with eleven total birdies, setting the Robert Trent Jones Golf Club course record at 61. Merritt joined the Wilson Advisory Staff in January of this year, switching to the FG Tour V4 irons, FG Tour V4 utility irons, and three FG Tour TC wedges (50, 54 , 58). At the Humana Challenge, his first tournament playing Wilson Staff equipment, he was the leader heading into the weekend rounds. He also claimed his first top-five finish at the RBC Heritage in April. 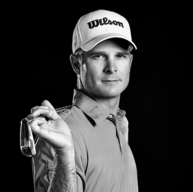 “We are proud to congratulate Merritt on his first PGA TOUR win,” said Tim Clarke, President of Wilson Golf. “Since he has switched to our brand, he has been an extremely helpful addition to our Wilson Advisory Staff, with constant feedback and interest in developing prototypes. For high resolution imagery and access to all press materials for Wilson Staff, visit: https://portal.wilson.com (login: golfmedia / password: golfmedia1).